Lighter scenes like this with both Clark and Superman would add a lot to the character to make him feel more relatable, charming and endearing in the next film. It's so simply even a caveman would know it..
Start the film with Clark going to work and helping people on his way there. Do the same with Superman, saving people from robberies, accidents, little stuff to SHOW he cares and to see people responding to him w/ love and appreciation. I think it should be Darkseid. Retool BvS and JL as a setup for a solo Superman film. Bizarro, and make it a mystery who created him and is pulling his strings. Yes, Brainiac definitely deserves the big screen treatment. I’m so mad that no one has done this in either the comics or elsewhere. Parasite is perfect for a good horror story but all he’s used for is being an idiotic brute who screams he’s going to eat Supes. Supergirl actually had a pretty creepy looking Parasite. He even had a kind of horror style origin. several Superman villains could work if written very well with a compelling motivation. I just really want to see Brainiac, and also Bizarro. Both very different but equally interesting if done right. I wouldn't necessarily say it has to be the "next" Superman movie, but Brainiac really should be worked in at some time. The Superman EU needs to be nutured again, practically from the ground up, so there are probably some setup villains that can be worked in there. If they didn't already screw the pooch with the Fourth World, I think Bruno Mannheim would've been a good setup or transitional villain. I'm a Brainiac vote. The Superman movies have relied far too long on the same two villains Luthor and Zod (by default I liked Zod better because he was less overused than Luthor). Brainiac has the scale to be epic on the big screen, complete with spaceship, connections to Krypton, and alien physiology. I would love to see a really creepy teched out Brainiac go up against Supes over the fate of Kandor. It would also create a different type of movie than a great Batman story would give us. 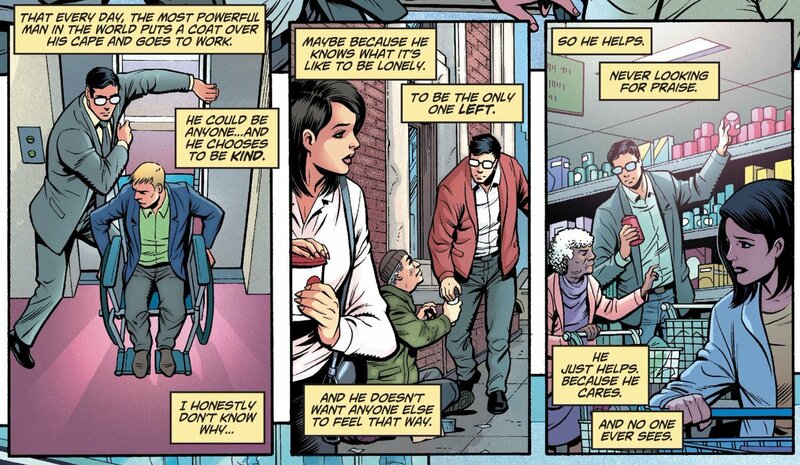 Similarly I'd like to see forward momentum in the Clark/Lois story as someone else mentioned. Snyder seemed to be inching there, but if we reboot (again), we're back to square one (again). Brainiac is an obvious choice. If its a year one story I've always thought it would be cool to repackage Ultra-Humanite. And Morrison's version of Xa-Du. Tiny trix, the Bantam Bandit. I have always thought it would be interesting to see Metallo used but have it revealed at the end he was created by Brainiac to test Superman with Brainiac showing up the following movie. Or even better Mister Mxyzptlk. But not the goofy little guy in a derby. Someone more realistic looking but with the powers to alter reality. Someone Superman can't just punch his was to victory. Cyborg Superman (I mean, it's not like the DCEU can ever do a Reign of the Supermen now). Bizzaro. Brainiac. Parasite. Toyman. Honestly, you couldn't go wrong just about with any of his rogues. Except maybe the fifth dimensional imp who's name I won't even try to spell - not because he'd make a bad villain, but because trying to type out that name so many times on this forum in the lead up to and after the movie's made would be a nightmare for me.